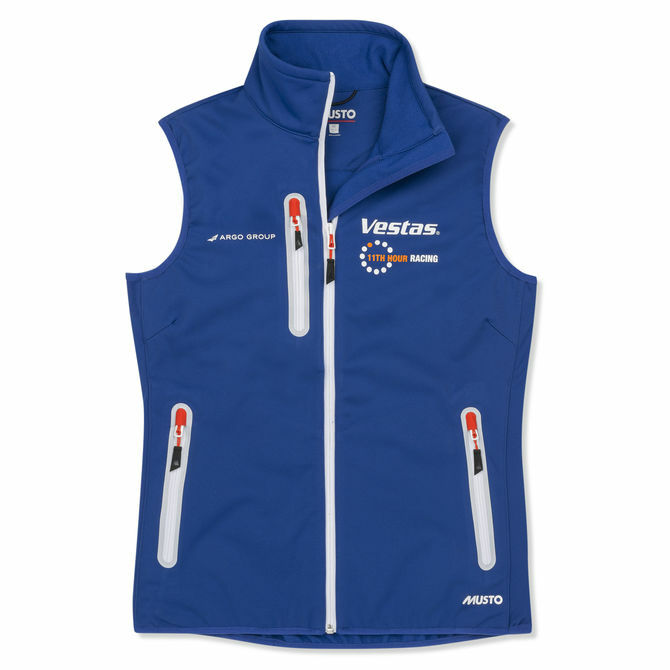 Water-resistant and breathable, this Women's Vestas 11th Hour Gilet delivers a superior level of protection outdoors. Its softshell fabric construction features a durable water repellent (DWR) coating that makes water bead and run off the fabric's surface, reducing drying times and protecting you from light showers. A grid fleece backer offers enhanced heat retention against the chill. A branded badge to the front makes it easy to show your support for this incredible team.